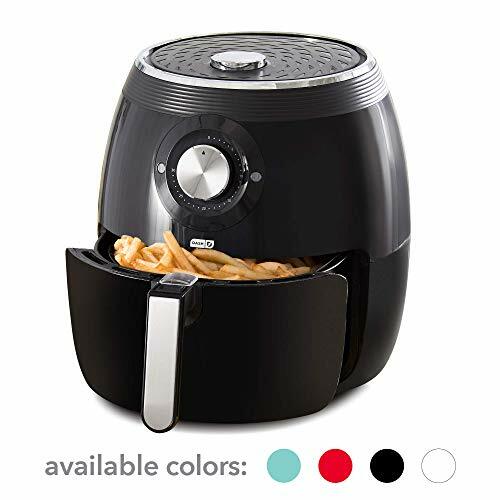 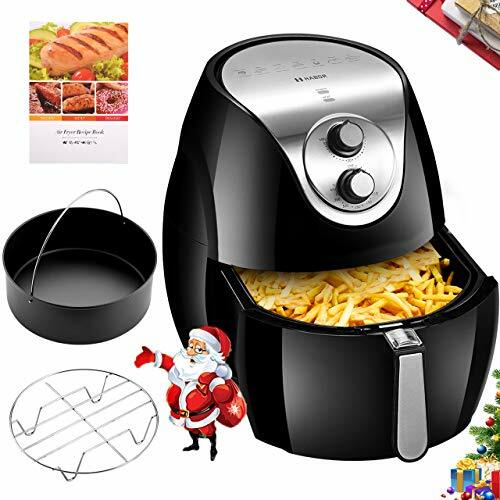 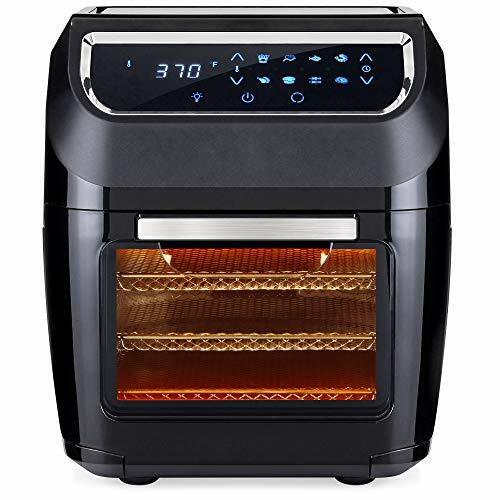 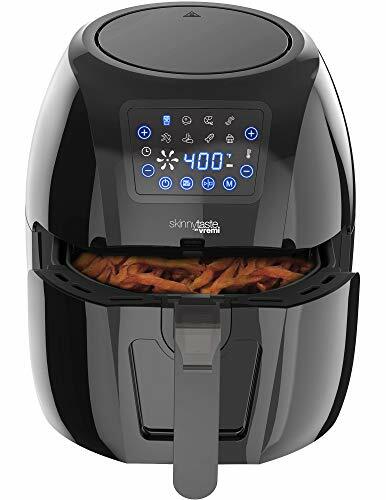 This Air fryer comes with 8 built-in smart programs including fries, pork, shrimp, cake, chicken, steak, fish, and pizza. 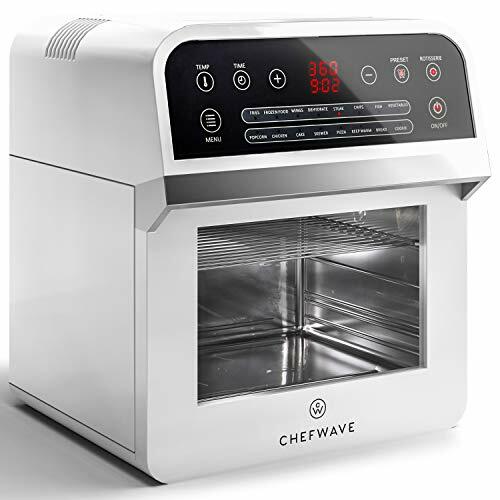 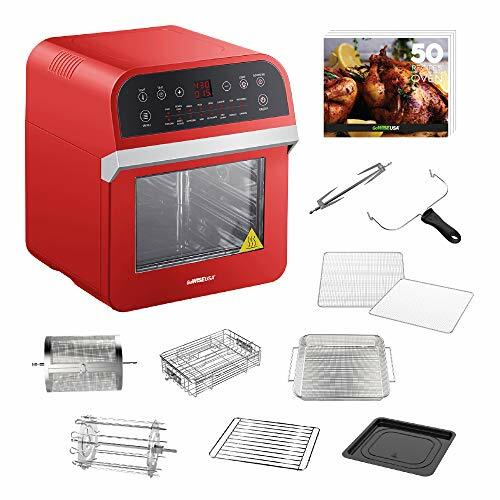 It offers a wide temperature range from 180◦°f-400◦°f and a cooking timer for up to 30 minutes. 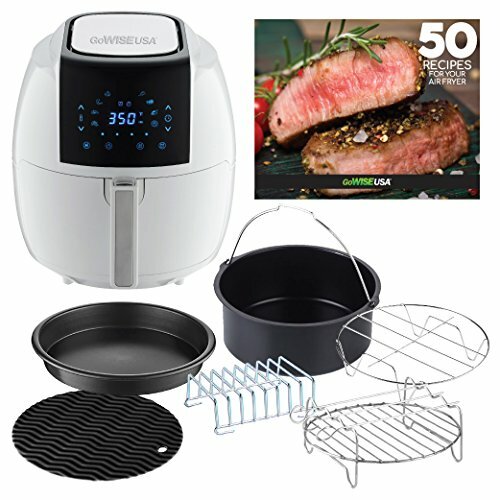 Plus, an alarm that can be set to 5, 10 or 15 minutes, to remind you to check What’s cooking. 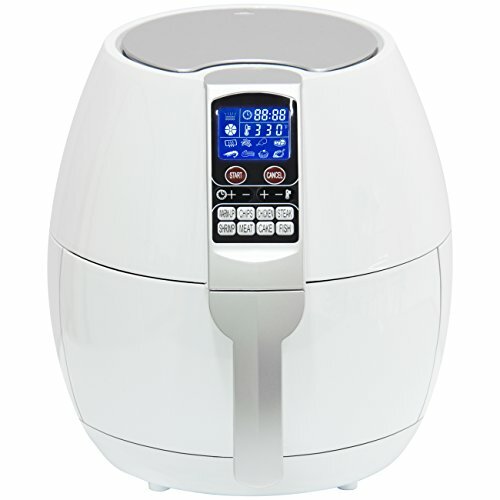 Air frying offers a healthier and easier way to cook, and in 30 minutes or less.